The notorious ISIS executioner, a Briton known as Jihadi John who featured in several beheading videos, has reportedly fled Islamic State-controlled territory, fearing that the publicity surrounding him will eventually result in his head served on a plate by his fellow terrorists. The Kuwaiti-born Mohammed Emwazi turned into one of Britain’s most notorious terrorists, wanted dead or alive, after murdering British aid workers David Haines and Alan Henning and American journalists James Foley and Steven Sotloff. Now that bloody fame, captured in grisly videos which have shocked the world, has apparently backfired, as Islamic State (IS, formerly ISIS/ISIL) is allegedly hunting down their “star executioner,” the Mirror reports. According to the publication’s source, Emwazi is terrified that “jealous” jihadists will kill him. In addition, Emwazi is said to be have been very wary of the possibility of US special forces hunting him down for his role in the killings of Americans and Britons, as well as Japanese nationals Haruna Yukawa and Kenji Goto. “So it is possible he will end up suffering the same fate as his victims,” the source added. Jihadi John’s identity as Emwazi was revealed by Washington Post journalists Souad Mekhennet and Adam Goldman in February, following months of speculation. British or US authorities are yet to confirm whether Jihadi John is indeed Mohammed Emwazi. Emwazi, who moved to the UK at the age of six, comes from West London. He attended Quintin Kynaston Academy, and then the University of Westminster where he studied computer programming. The 26-year-old arrived in Syria in 2012 to fight alongside the jihadists to eventually become the poster-child of foreign-sourced IS warriors. In his execution videos, Jihadi John concealed his identity by covering himself from head to toe in black. Despite this, several facts pointed to the fact that he was a foreigner. He spoke with an apparent London accent and has a skin tone consistent with Middle Eastern descent. 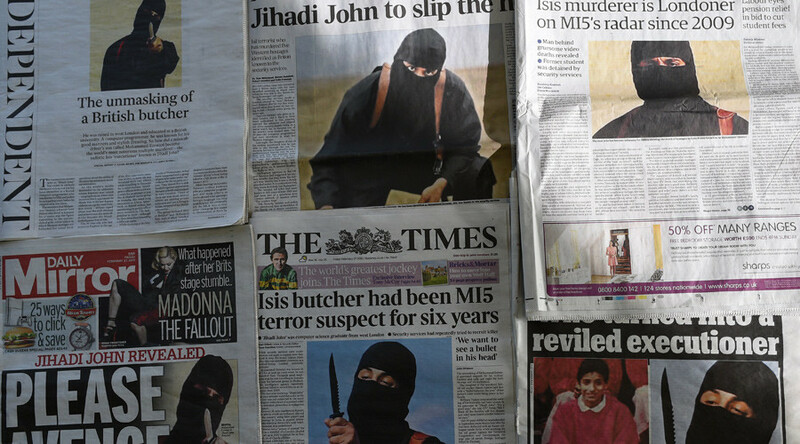 In March 2015 Emwazi’s mother reportedly recognized Jihadi John’s voice as her son’s. In September last year, British Prime Minister David Cameron announced that Jihadi John’s identity was known but would not be revealed for security reasons. The message was reiterated by the FBI Director James Comey who told reporters that they had identified the suspect in the execution videos.